40 Comments	This post may contain affiliate links. 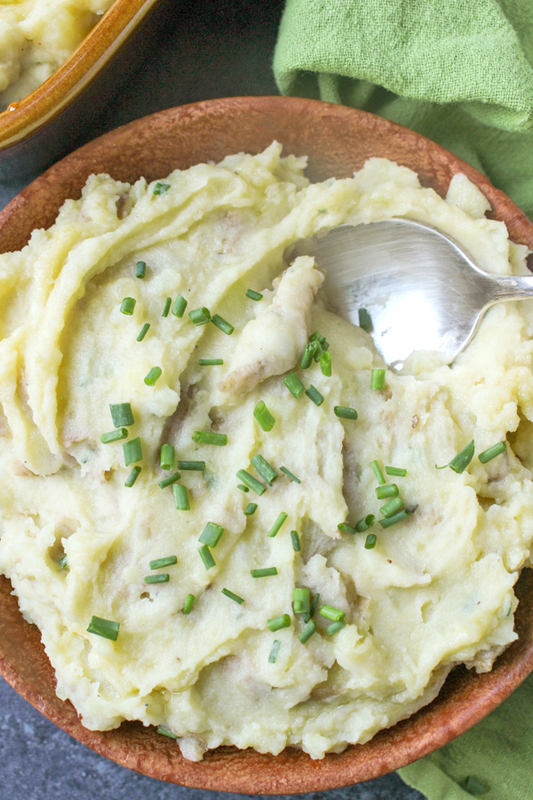 These Paleo Whole30 Mashed Potatoes are the perfect side dish. 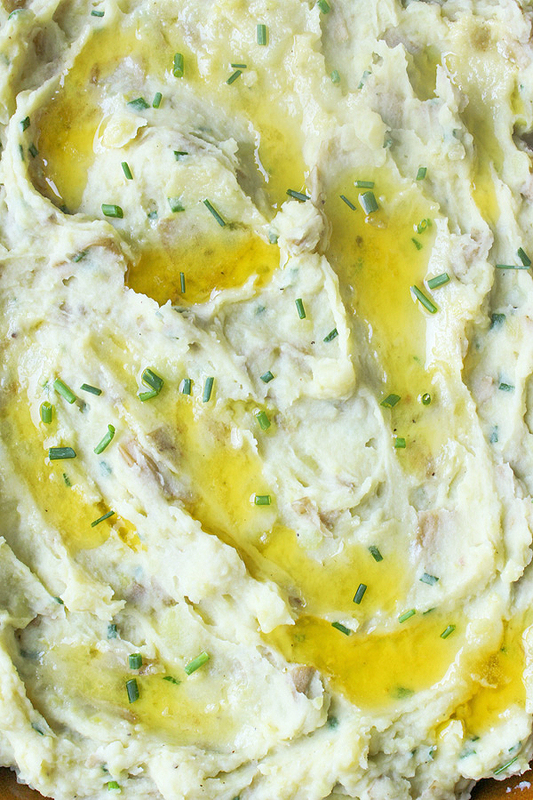 Creamy yukon gold potatoes are mashed together with ghee and almond milk and finished with chives and garlic oil. 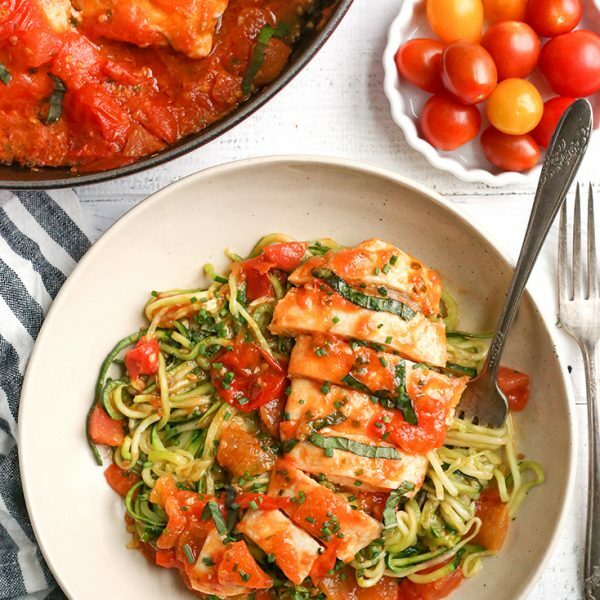 The result is creamy, rich, and so flavorful! 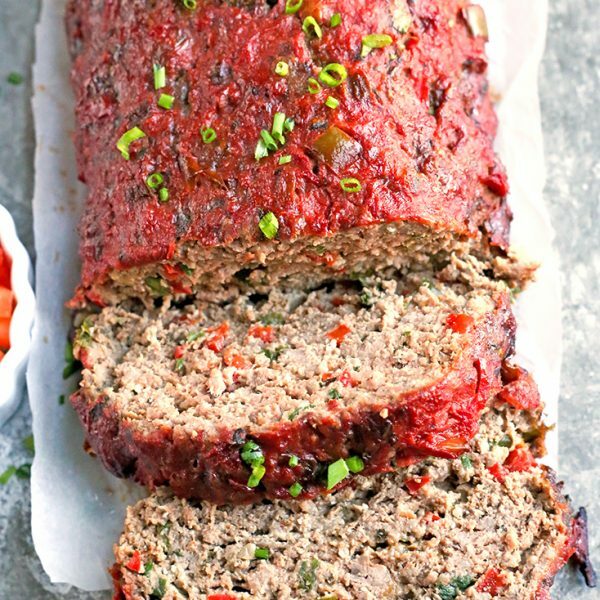 Gluten free, dairy free, and low FODMAP! I’m trying to get you prepared for Thanksgiving. 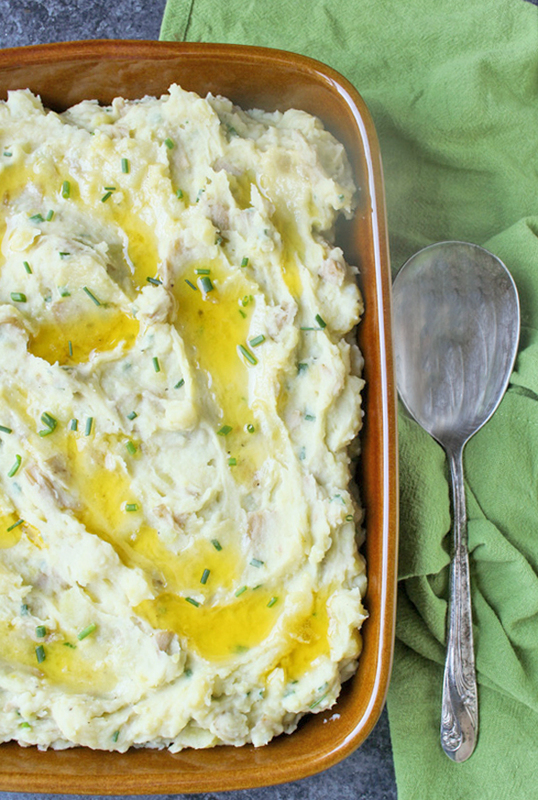 I realize that I don’t have a lot of side dish recipes on my site and a classic mashed potato is a must! These potatoes are too good to only have once a year though. I hope you don’t consider them only for Thanksgiving. 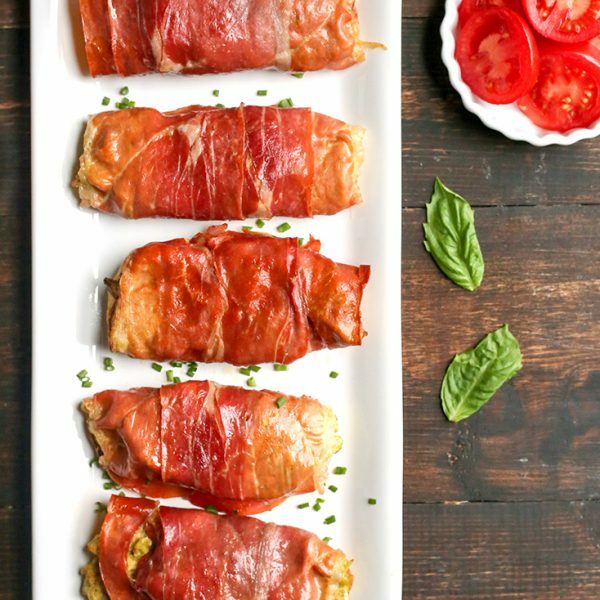 They would be perfect along side a crispy roasted chicken or under a pot roast. Every time I post a recipe with white potatoes I get a comment that they aren’t paleo. Or that I am misleading everyone by calling that recipe paleo. 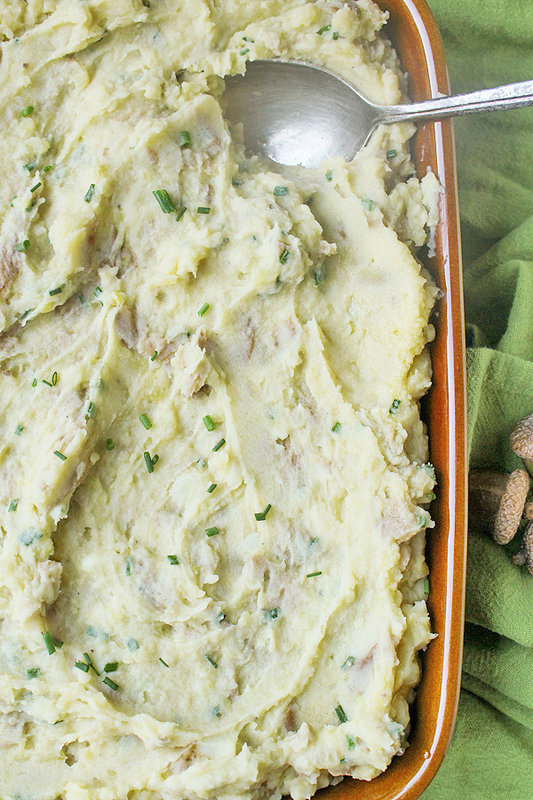 White potatoes are definitely paleo! HERE is a great article explaining more, but if you can tolerate them then eat away. Enjoy! The use of ghee and almond milk make these completely dairy free. The ghee adds great richness and buttery flavor. I always use Malk almond milk because it’s great tasting and not just water like some other brands. 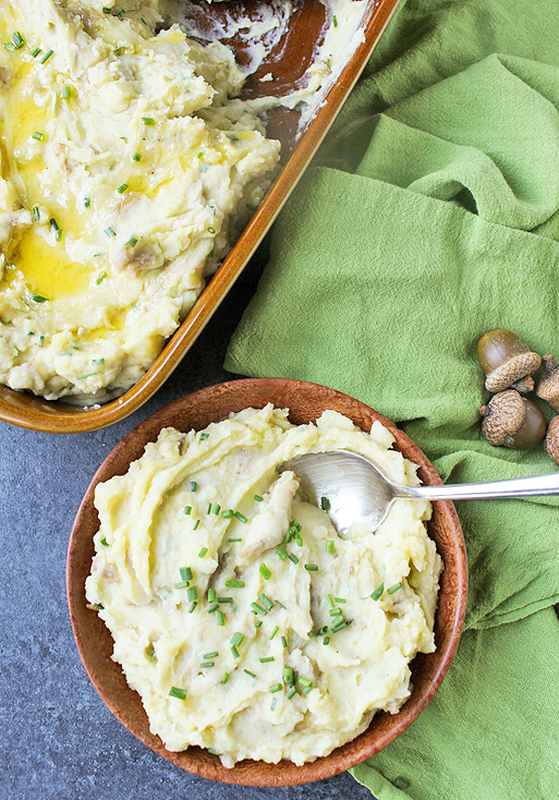 These mashed potatoes are made with Yukon Gold Potatoes because they make the best mashed potato. And bonus: no need to peel them! That makes it so much easier and quicker. I like the peel left on because I feel like I’m getting more nutritional from it. Of course, if you prefer peeled potatoes you can do that as well. I made these in the Instant Pot and on the stove top so you can have options. I prefer the Instant Pot because it was so quick and easy and mostly hands off. If you have an IP then you have to try them that way! 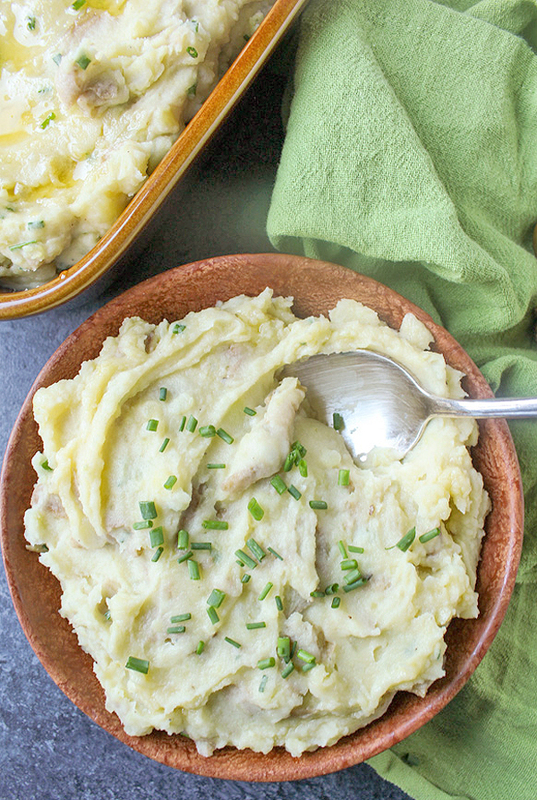 You will love these Paleo Whole30 Mashed Potatoes because they are easy to make and a healthy take on the classic side dish. Rich, creamy, and flavorful. 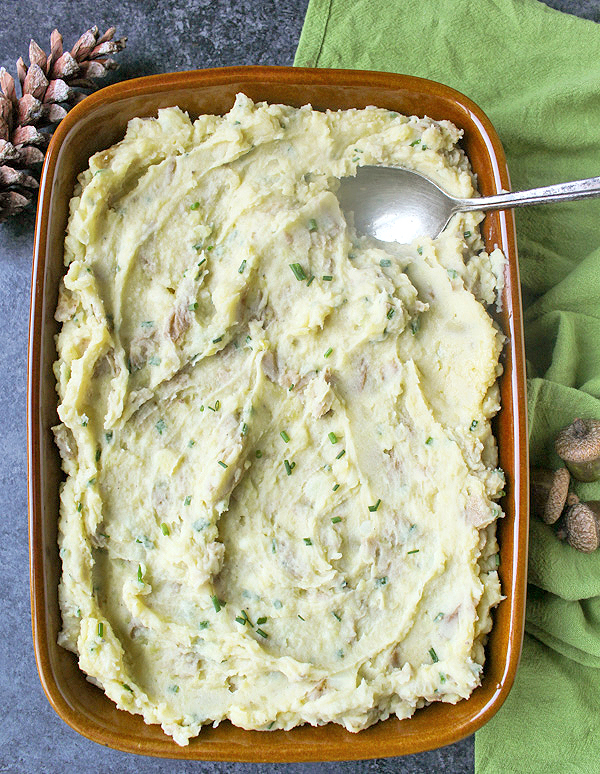 Here are some more Paleo Thanksgiving recipes for you: Paleo Whole30 Green Bean Casserole, Paleo Pumpkin Coffee Cake, Paleo Pumpkin Pie Bars, and Paleo Whole30 Squash Soup. Wash and cut potatoes into fourths. Place in a large pot and cover with cold water and 1/2 teaspoon salt. Turn the heat to medium high and stir occasionally until the water boils. This should take 8-10 minutes. Cover, turn heat to low and cook 10-15 minutes, until a fork can easily go through a potato. Turn off heat, drain potatoes and add them back to the hot pot. Add in almond milk, ghee, and remaining salt. Mash with a potato masher until smooth. Add in chives and garlic oil, stir and serve. 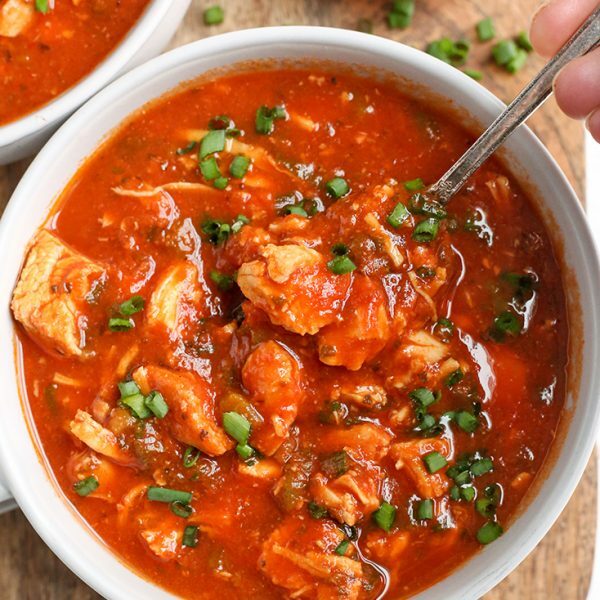 To make in the Instant Pot. Place potatoes in the bottom, cover with 1 cup water, cook on high for 14 minutes. Hit the "cancel" button, release the pressure and drain. Add back to the pot, add almond milk, ghee, and salt and mash. Stir in chives and garlic oil.